Semolina Halwa or Seero Made Desi Style | Authentic Vegetarian Recipes | Traditional Indian Food | Step-by-Step Recipes | Give Me Some Spice! 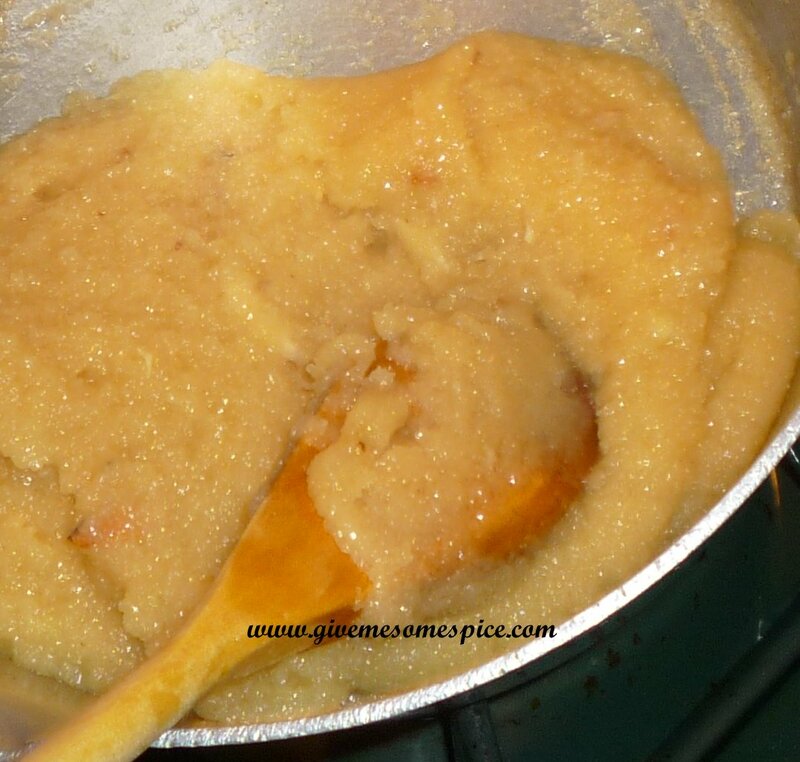 Semolina halwa cooked desi style is a traditional Gujarati sweet often called ” Seero”. It’s one of those easy to make sweets that Gujarati’s are always finding excuses to make. Most people make it with sugar and milk and is often used as Prashad (offering) for Satyanarayan katha (religious ceremony). I have made it the traditional way – using jaggery (Gor) and water. Again this Halwa recipe is one handed down from my father who was a diabetic. His excuse for being allowed to eat this sweet was that it did not contain sugar!! He was cheeky enough to tell us that diabetics could use jaggery instead of sugar!! Bless him – he enjoyed it and never suffered any ill effects. This Halwa is nice to have on its own when you have lost your appetite or when you are recovering from a cough or cold. It’s also good for women who have just had babies. Gujarati’s believe that this sweet helps one to recover from mild illnesses. 1. 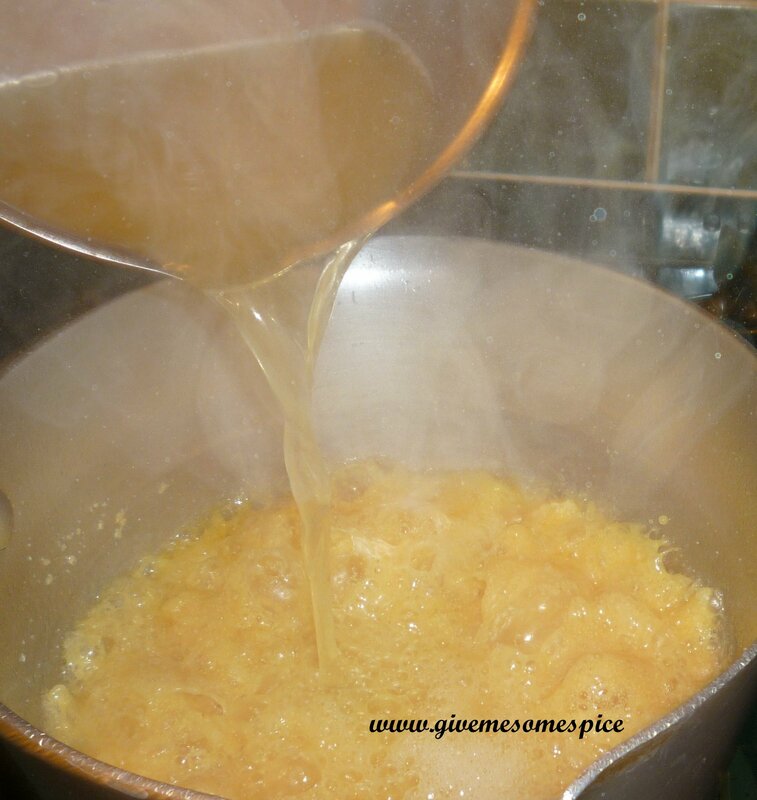 Add the jaggery to water and allow it to melt whilst boiling the water. 2. 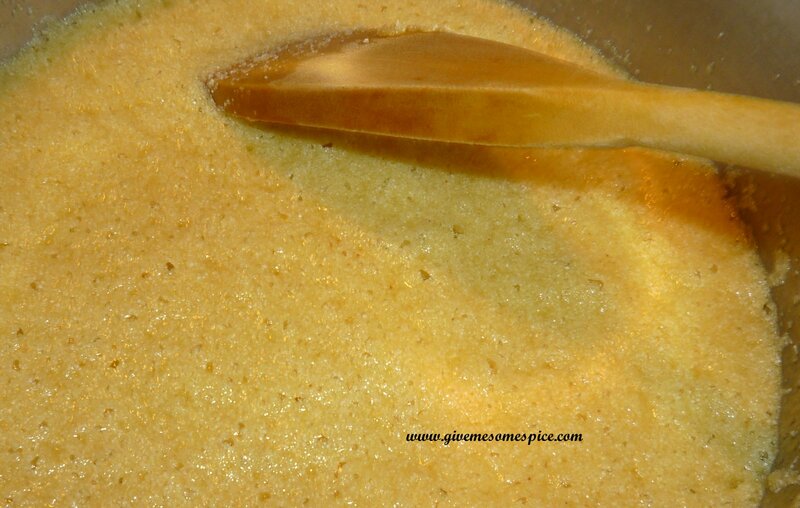 Add half to three quarter cup ghee to the semolina and cook on a mild heat until the semolina starts to get golden brown. If the semolina feels dry – add a bit more ghee. 3. 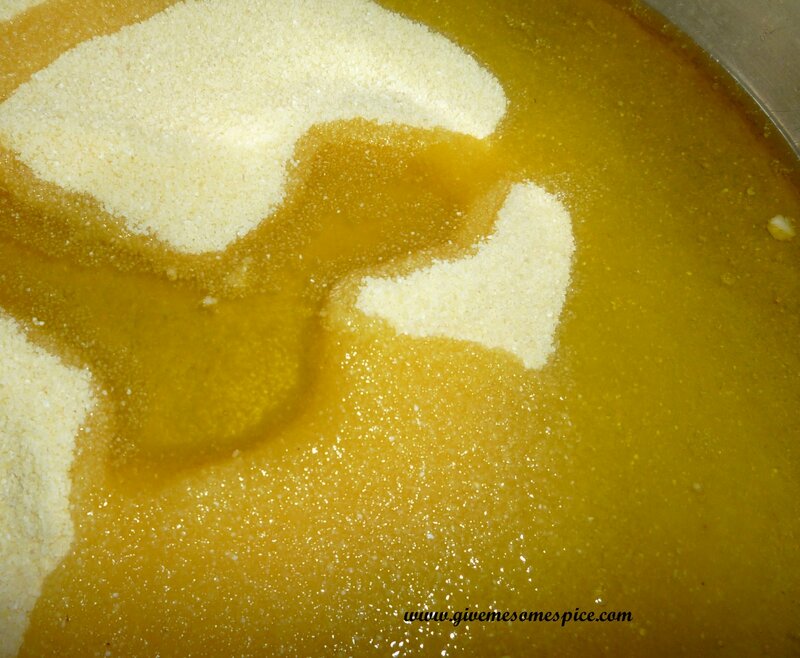 Carefully pour the hot jaggery water to the cooked semolina. The semolina will start to bubble and cook so be careful that you don’t get splattered. Add the ground nutmeg, cardamom and saffron to the mixture. 4. 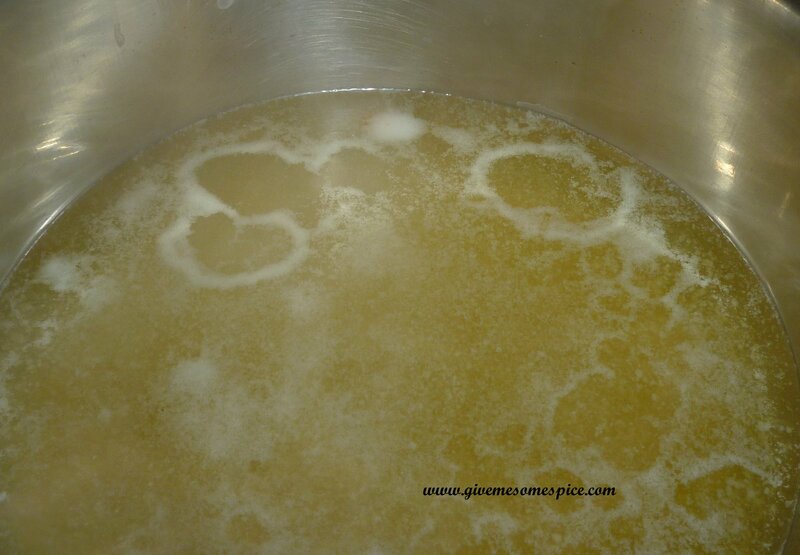 Keep stirring until the mixture becomes fairly solid and doesn’t stick to the saucepan. If you like ghee, you can add the remaining ghee to the semolina but it’s not necessary. 5. Transfer the semolina halwa to a serving dish. Slice the almonds and pistachios and sprinkle them on the halwa. 6. Serve the halwa hot as a sweet on it’s own or with ice cream or thick double cream. How do you serve your Halwa?